It was dark and rainy as we stumbled off the train into the deserted station of Timisoara, a small city in the north of Romania. The few locals that departed with us scrambled over the tracks to take cover under the eaves of the empty platform. The place looked poor and broken; the uninviting, communist style station was all but closed down at this time of night. We stood, looking out at the edge of the city, not knowing how to start our journey. How did we end up here?We knew little about Romania and practically nothing about the city of Timisoara when we arrived. It was a convenient stop over on our way to Serbia. We clunked along on the tram through the rainy night and eventually found our hostel on the other side of town. It was cold. We were tired. 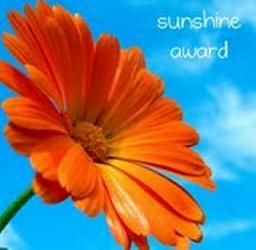 But the next morning the sun came out, and the world looked less bleak. 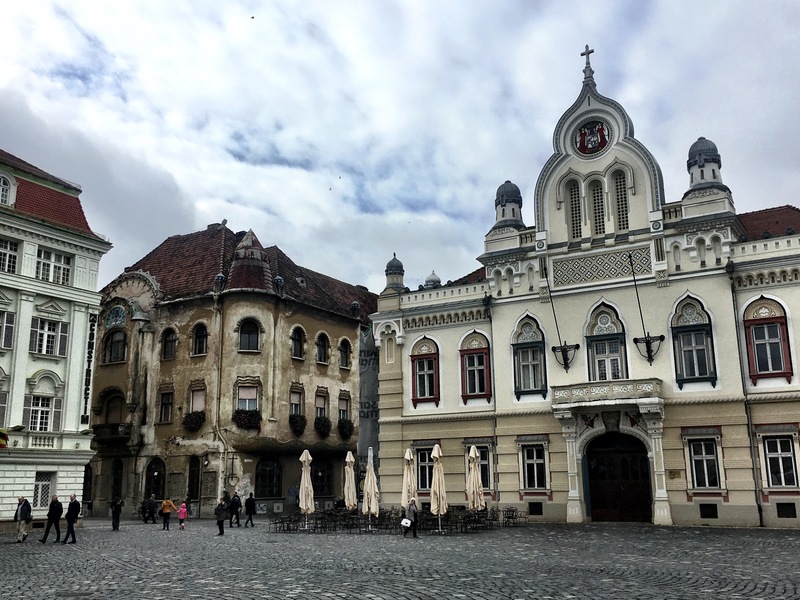 We grabbed a map and a few tips and walked into the new world of Romania. It was eye opening. 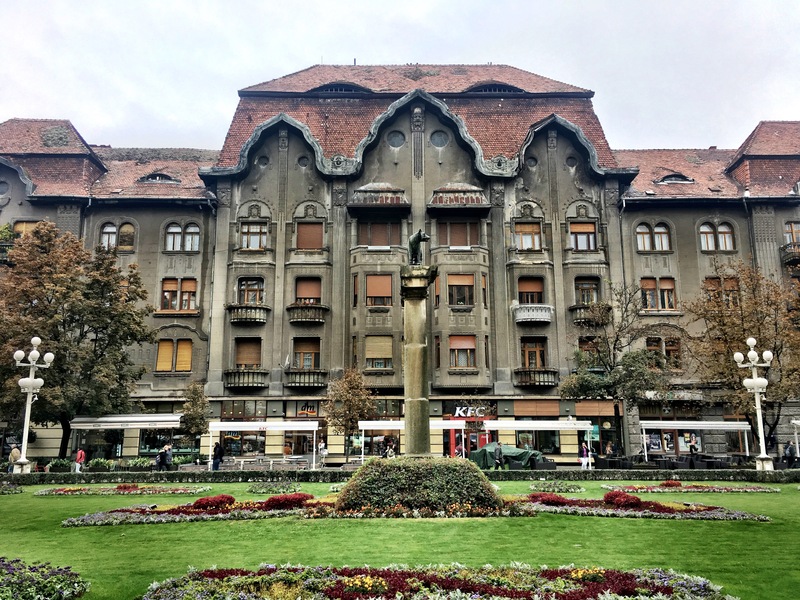 We had no idea how important the city was to Romanian history. 1989 was the year of changes for communist dictatorship around the world. The Velvet revolution in the Czech Republic, the fall of the Berlin Wall and the protests in Tiananmen Square caused irreparable changes, specifically among eastern European nations. When the people of Timisoara caught wind of these revolutions, they took a stand against their own tyrant: Nicolae Ceausescu. Only a few days before Christmas, small groups began protesting in the city squares. No one realized that, by the end of the week, their world would be forever changed. The Memorial Museum in Timisoara is supposed to be the number one attraction in the city. The museum recounts the events of the 11-day revolution that began in December 1989. The building is an unassuming, 2-floor, Communist-style, concrete structure. The yard out front is in shambles, and the door has no sign. We thought we had the wrong place. We tried the door and it opened into a long, concrete hallway. There were maps and photos haphazardly nailed to the walls. A small desk was positioned to the side and a man sat behind it. The man looked up and gave us a big smile. “Yes! Yes!” He said. He got up quickly and scampered around the desk to greet us. He looked so thrilled that someone was there. The entire building was empty. We paid our small fee and were ushered into a room with classroom-style seating. Strange mannequins with gas masks and army gear sat in the chairs around the corners of the room. Posters of the revolution covered every niche of the unpainted walls. We sat down in the centre to face a TV and the man played us a half hour video to begin our tour. This was the first information we’d had on the Romanian Revolution. We knew absolutely nothing about the history of the city. It was eye-opening to say the least. The protests started on December 15th after the mistreatment of the Hungarian Priest Laszlo Tokes. But it was only a matter of days before the event grew into a revolt against the oppressive leadership of Nicolae Ceausescu. People wanted food. People wanted freedom. Ceausescu ordered the military to gun down the protestors. And when they did, things only grew worse. Nearly 100 people were murdered on the first day of the shootings in Timisoara. The government tried to cover up the massacre. They took the bodies of the murdered protesters, transferred them to Bucharest, and burned them; it was as if it never happened. The protesters grew in size from hundreds, to tens of thousands in just a few days. Strikes. Protests. Tanks. Tear gas. The army opened fire, and the protesters grew and grew. They chanted “Down with Ceausescu!”. The revolution quickly spread to neighbouring cities. Ceausescu ordered the execution of the Minister of Defence because he failed to stop the rioters. He told the country that Milea had committed suicide. But the army saw through Ceausescu’s propaganda and the soldiers began to defect. By the next day, the army sided with the protesters and Ceausescu stood alone. By Christmas day 1989, only 11 days after the protesting began, Ceausescu and his wife were captured and shot by firing squad for their crimes. It is estimated that Ceausescu was responsible for over 60 000 deaths. Just like that, the revolution was over. You can still see the bullet marks in the street as you walk through the main square in Timisoara. Most of the population here would remember the revolution. The man working at the museum ticket booth would have been a part of the protests that occurred. Its eerie to think of what these people have lived through. That the history we learn about is not some long past event to discover. That these people LIVED the revolution. The rest of the museum showed more of the same. Just room after room of pictures lining the crumbling concrete walls. It was one of the strangest museums I’ve been in, and no one was there. Outside, the pretty little town of Timisoara lived on. It’s a university town with a lively nightlife and great cafe culture. I wonder now if any of the other backpackers visited the museum. It would be easy to miss without a guidebook. I wonder if most people passing through are here for the nightlife and the surrounding nature. 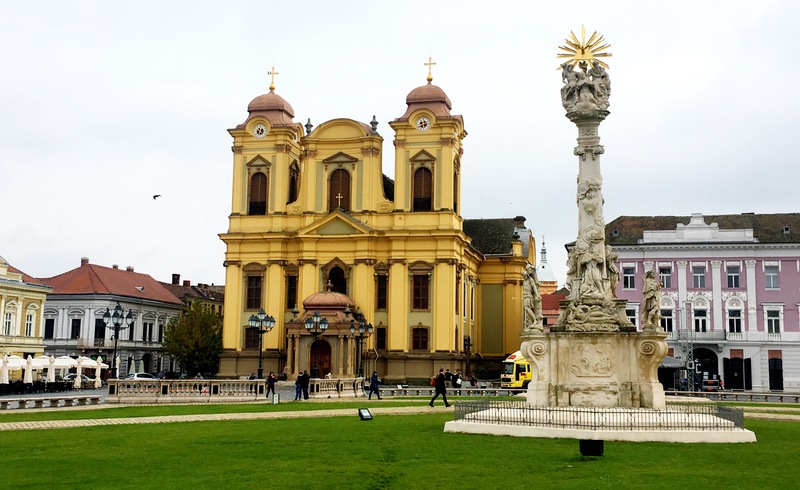 Timisoara is a popular base point for nearby day-hikes in the region. The streets are quaint and the restaurants lively. It makes me sad to think you could move through without ever knowing about it’s bloody past. 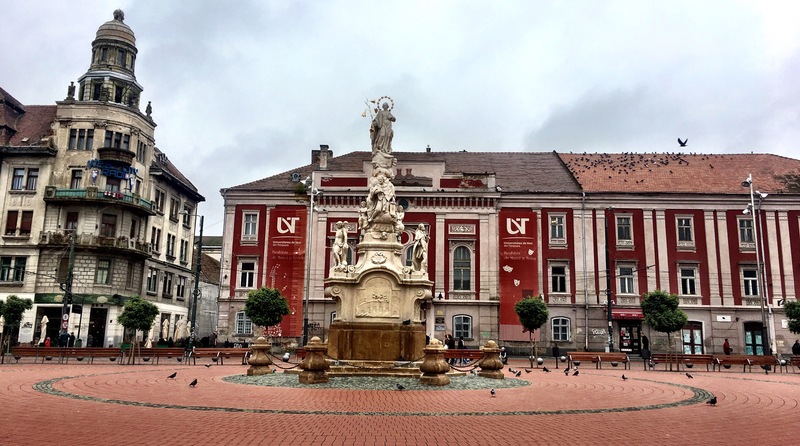 Our time in Romania was less than 48 hours, but it left a big impact on my mind. 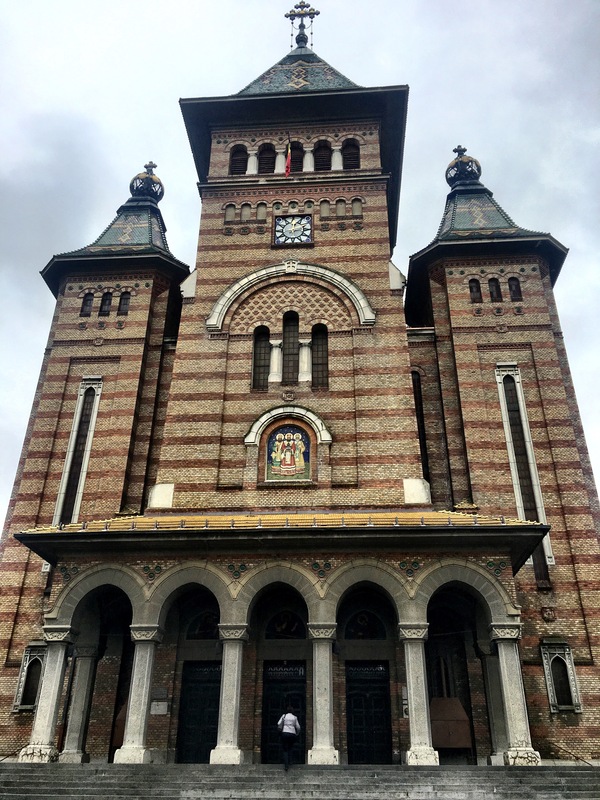 We had a choice to continue East through Branov and into Bucharest or head West to the Balkans. The rains swayed our decision and we moved eastward on the train. But Romania hasn’t seen the last of us!